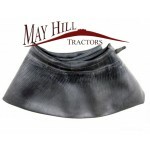 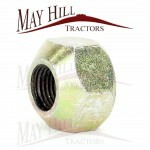 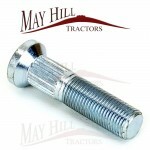 7.50 x 16 BKT 3 Rib Tractor Front Tyre x 1 Fit Various Tractor Models fitted with a 7.50 x 16 Front..
Front Spindle/Kingpin Lower Thrust bearing to fit: 74.5mm OD, 51mm ID x 16mm Wide Ford 1811, 1841.. 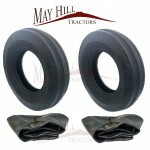 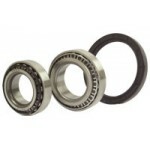 Inner Tube 7.50 x 16 with TR15 Valve ideal for Tractor etc ..
Front wheel bearing kit (2 x Bearings & 1 x Seal) to fit: Inner Bearing I/D: 41.27mm O/D: 73.43..
Front Wheel Nut Leyland 245, 253, 255, 262, 270, 272, 282, 285, 344, 384, 502, 602, 702, 802, 2100..
1 x Wheel Stud Overall length 57.5mm (2.1/4") Outside thread diameter 12.5mm (1/2") Outside splin.. 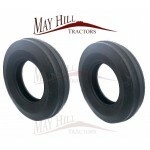 PAIR of 7.50 x 16 BKT Front Tyre 3 Rib .. 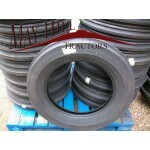 PAIR OF 7.50 x 16 BKT Front Tyre 3 Rib + Tubes ..